Description Cathodoluminescence (CL) is the emission of light (from UV to IR regime) from a material as a result of excitation by electron beam. 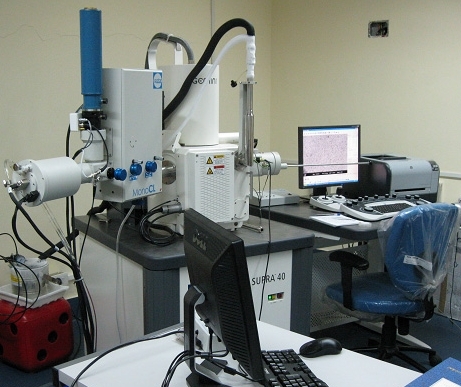 CL augmented in a high resolution scanning electron microscope (HRSEM) fitted with a spectrometer, light collection and detection system offers a powerful material analysis tool to obtain simultaneous acquisition of CL spectroscopy and imaging data with high spatial resolution and depth resolution from a luminescent material in addition to other available morphological information of the SEM mode of operation. * Liquid He and Liquid N2 flow based sample cooling stage for imaging and spectroscopic work in the temperature range 6K - 300K.